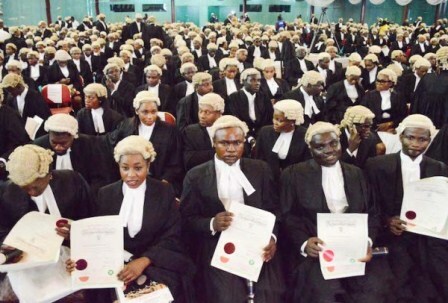 The Nigerian Law School on Saturday released summary of the final examination results conducted in August. Chinedu Ukekwe, Head of Information and Protocol of the Nigerian Law School gave the summary in a statement in Bwari, FCT. He said a total of 5, 891 students participated in the examinations, while 4, 285 were successful. He added that the candidates with conditional Pass were 334 while 1, 272 failed. According to him, 29 students were graded First Class, 211 Second Class Upper, 1, 046 made Second Class Lower, 2, 999 accounted for Pass, while 334 came out with conditional Pass. A further breakdown of the results showed that candidates with Pass accounted for 72.7 per cent, those with conditional Pass represented 5. 7 per cent, while those who failed were 21.6 per cent. Ukekwe in the statement revealed that the ‘Call to the Bar’ ceremony for the successful candidates will hold on Nov. 28 and 29 in Abuja.